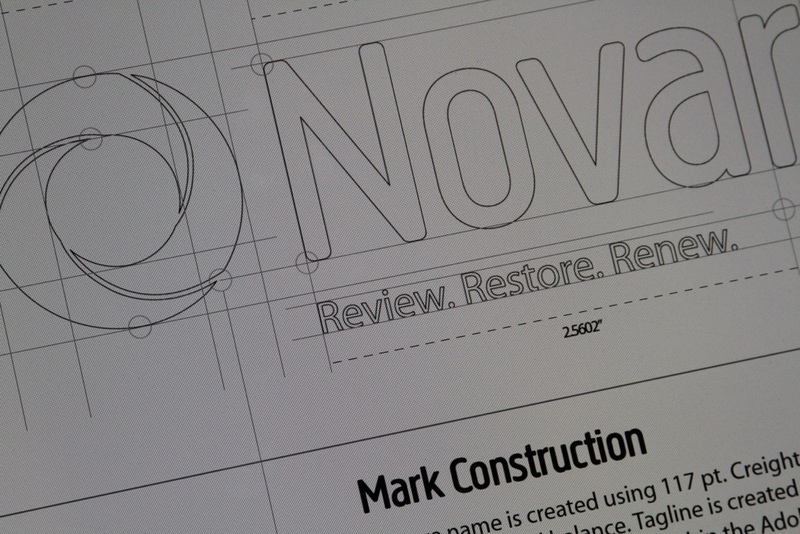 Novare Brand Guidelines – Logo Construction – Mock Design Group, Inc. Brand mark construction page from branding standards manual. Extensive mark construction documentation was done to ensure future production of logo by yet unknown vendors would be consistent and straight-forward. Not every client requests or needs this level of detail, but accuracy and documentation are available for those that do.